Someone once called me a cheapskate. It was the nicest thing anyone had ever said to me. 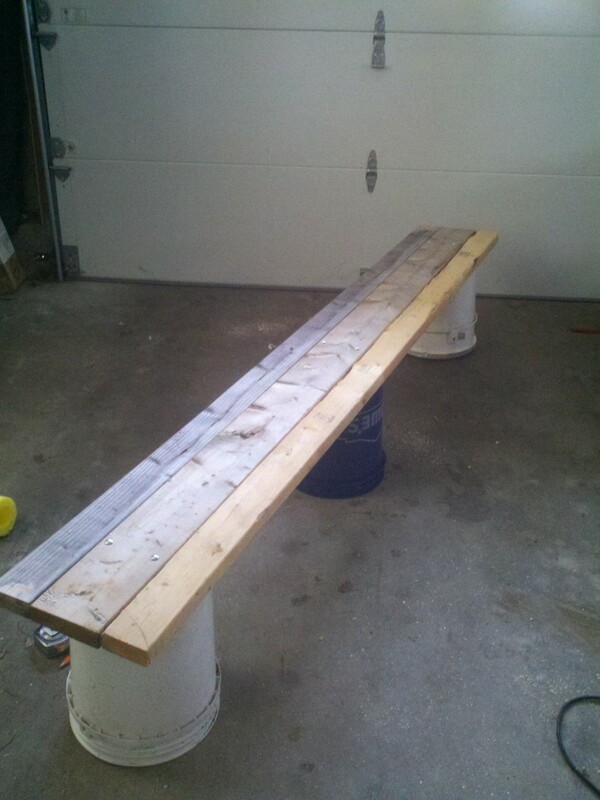 With that in mind, I present the $20 rink bench (or less if you collect used wood like me). Like most things on this site, I didn’t come up with this design, and if you look at pictures from pond hockey tournaments, this design is battle tested rinkside across the US and Canada. Here’s how to build it. 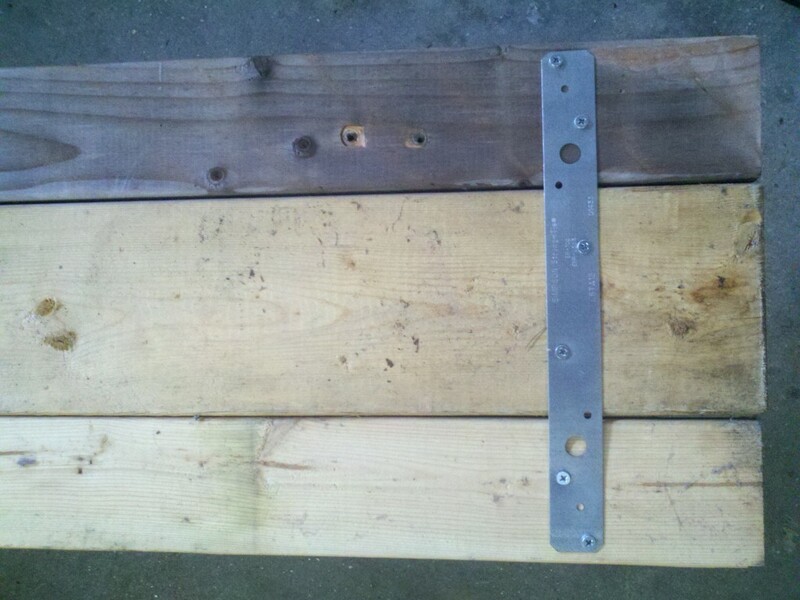 -Lumber – $8 or so. I used a pair of 2x4x8’s and a single 2x6x8, but you could probably use 4 2x4x8’s, which are typically under $2ea at the big box stores. 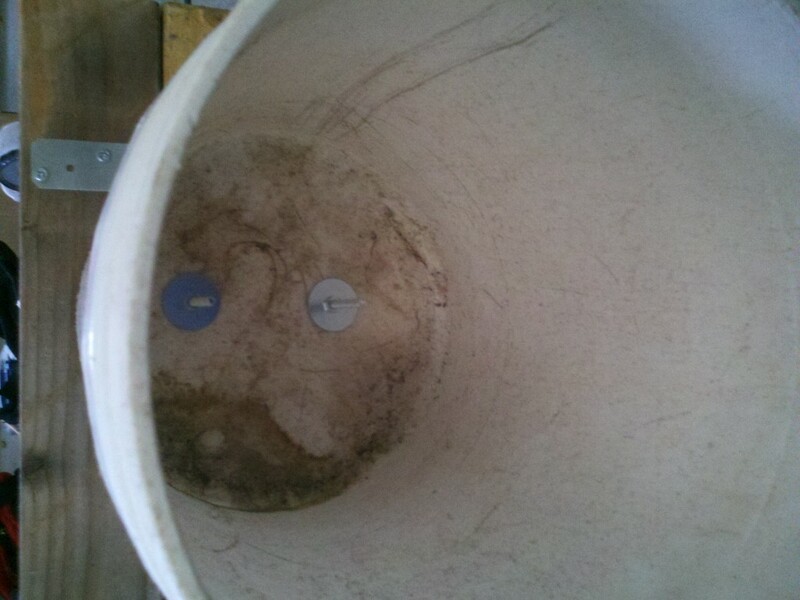 -5 gallon buckets – $3 each. I went with two white and one blue, solely because they were the three I had which were the same height. -Mending plates or scrap 2×4’s – free. You could buy these, but you can’t tell me you don’t have scrap wood laying around. More on exactly what you’ll need below. -Hardware – $3. You’re going to want six bolts, at least long enough to pass through the top of the bench and into the top of the buckets. 4″ should work. You’ll also want washers, one per bolt, and nuts to tighten it all up. Here’s how it comes together. If this takes more than a half hour, you’re doing it wrong. 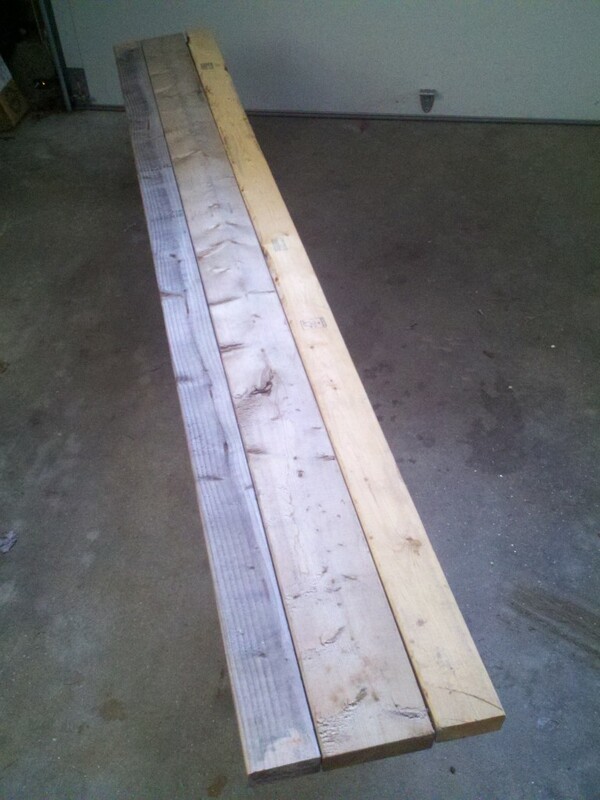 Start out by laying your wood on the ground like such, with the eventual bottom of your bench facing up. 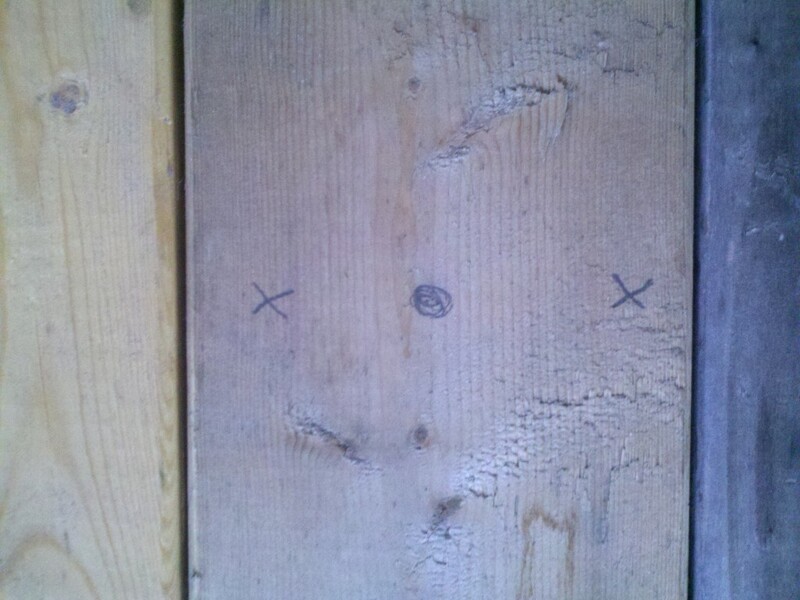 You can see this is all used wood, and discolored, and ugly. I prefer “rustic”. Your goal now is to attach the three boards to each other. There are a handful of ways to do this, and honestly, I used most of them. I had a couple extra mending straps, so I started with those. Then I slapped on a couple pieces of mitered 2×4. I only mitered them so that they’d be less visible from the front, but you don’t need to do that if you don’t want to. It’s not integral to the function of the bench. And then a scrap piece of plywood for good measure. Hooray for having tons of crap in your garage! 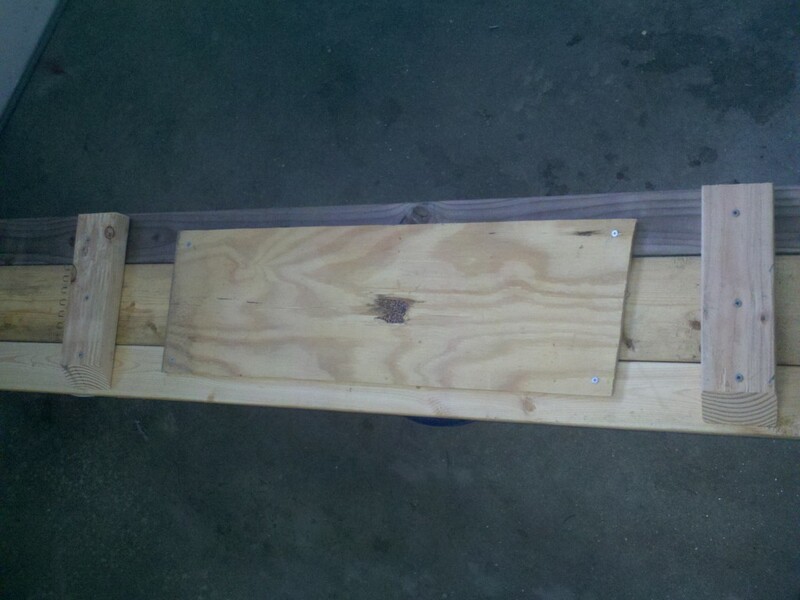 Now you can flip your bench over and prop it up on top of the three buckets. 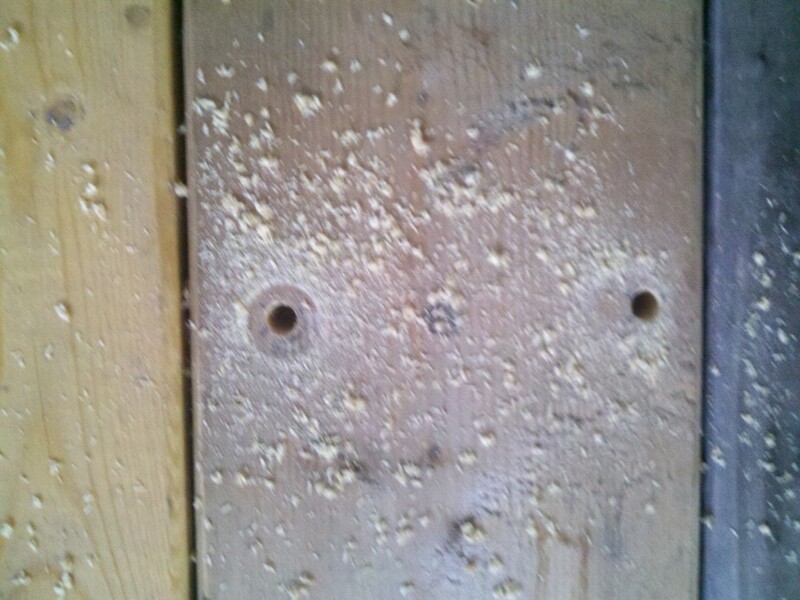 Space them out evenly, then determine where you want to drill through. Since I put a 2×6 as the middle of the bench, I marked the center of the 2×6 then went 2″ in either direction, such that both of my holes went through the 2×6 and into the bucket. Drill slowly, as the plastic can break if you jam the drill down into it. 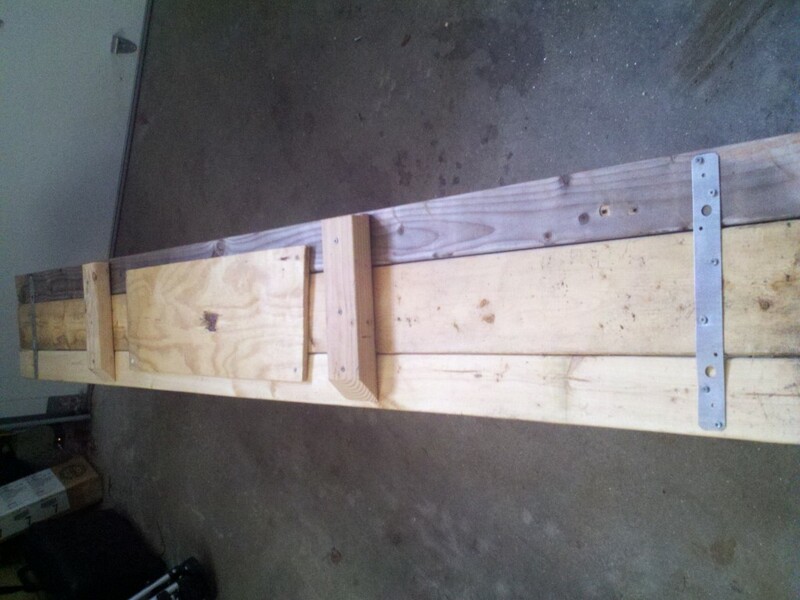 Once your holes are drilled, drop in your bolts, then lay the bench sideways to put in the washers and nuts. I didn’t use washers on the top of the bench, but used the largest ones I could find on the inside of the bench. I finger-tightened the nuts. Flip it back over and you’re done! Your very own super-luxurious, ultra-chic, “Hey-honey-I-cleaned-that-scrap-wood-you-keep-bugging-me-about” backyard rink bench. I stained mine (after taking the picture above), but you could leave it alone, or cover it with chinchilla fur, or wrap it in old stain-washed jean fabric – the world, and this bench, is your oyster. 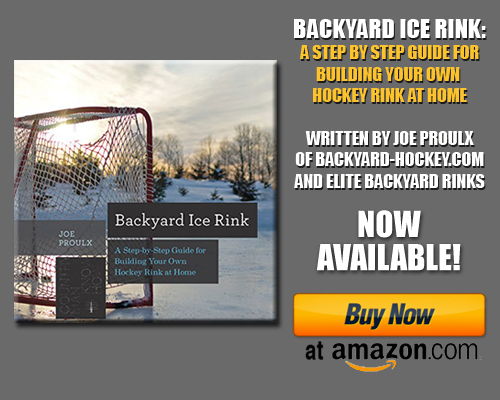 No more wet bums from sitting in snowbanks, no more tying your skates standing up, and no more piles of scrap wood in the garage. Win, win, win. You need the hockey stick legs with a backing like mine!! No extra cost, just broken old sticks! 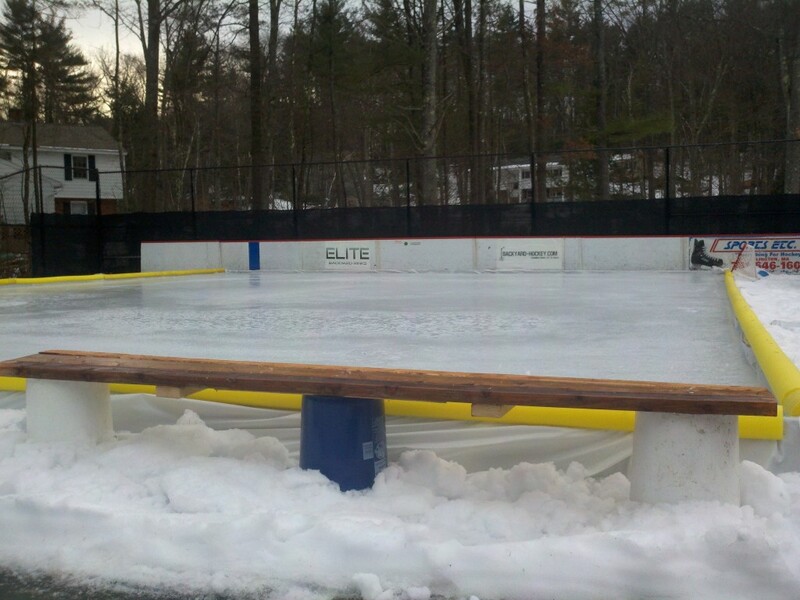 All I used was 2 extra pieces of plywood from my rink screwed together to build basically the same thing. I’ll test the weight that thing can hold tomorrow! !